Dr. Andrew McKen has joined the staff at Hatch Chiropractic and Wellness and is excited about moving to Colorado. Below he talks about why he chose the field of Chiropractic medicine. It is Andrew’s personal goal to bring the healing powers of chiropractic to as many people as possible. As a growing boy in middle school, Andrew grew around 5 inches in about 6 months. As a result, he experienced upper back pain that was keeping him from participating in any physical activity. After a few visits to the chiropractor, the pain was gone! That same chiropractor played an influential role in Andrew’s life as he would adjust all the varsity athletes before their game. He learned first hand that chiropractic is not only for helping people get out of pain, but to help you function optimally. Today many professional athletes rely on chiropractic care to help them perform at the highest level. Next time you stop by the office be sure to say hi. End of Year is Near! Optimize YOUR Insurance Benefits! If you have a calendar year plan with your insurance, or your FSA/HSA plan, the end of the year is when most flexible spending, health savings, and insurance benefits expire, and we’d like to give you a friendly reminder that it’s a good time to come in for your visit. If you would like to use your FSA/HSA account to prepay your visits for next year to ensure that you get all of your money this year, please ask the front desk for details. 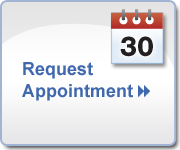 Request an appointment online or call our office at 303-841-7121 to schedule an appointment before the end of the year to take advantage of your insurance benefits.